The 2014 Range Rover Sport is getting a sleek new look and is about to make its debut in New York. 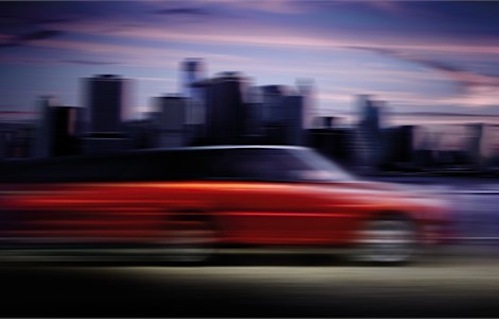 The newly-designed Sport will be revealed in Land Rovers biggest market for the Sport: New York. More Sports are sold in New York than any other metropolitan area in the world and the new 2014 Range Rover Sport will be revealed by making a live drive through Manhattan, on March 26th. The new Range Rover Sport is reported to have a new look and “much greater visual differentiation” from the standard Range Rover. Land Rover design director Gerry McGovern said late last year that the new second-generation 2014 Range Rover Sport will have a new look and “would be given more personality than before” and it would be “separated a bit more” from the standard Range Rover. We knew that Range Rover is remaking their lineup and it started with the all-new Evoque and then the 2013 Range Rover. The Range Rover Sport is North America's best-selling Land Rover model in their lineup and the New York reveal is the perfect place on the planet for the new SUV to make its debut. The new 2014 Sport will feature not only a new exterior design, but new technology and engineering as well. John Edwards, Land Rover Global Brand Director, said: "The all-new Range Rover Sport takes the model to another level. It is Land Rover's most dynamic vehicle yet and showcases the best of British design, engineering and technological innovation." The all-new 2014 Range Rover Sport is likely to be featured with Land Rover’s new Premium Lightweight Architecture (PLA), which features a riveted and bonded aluminum monocoque. The new material will shave 600 pounds off the curb weight bringing the Sport to 4762 lbs. making it more agile than ever. Land Rover says it will be their “fastest, most responsive and agile vehicle to date.” The Range Rover Sport has always been about performance and it looks like it’s going to get even better for 2014. Engine options could include a new four-cylinder powerplant that could be offered on the Range Rover Sport for the first time. Other engine choices on the new 2014 Range Rover Sport in Europe will likely include a 255 hp V6 diesel as the entry-level unit, and a 334 hp twin-turbo V8 oil-burner. A Jaguar-sourced 510 hp and 461 lb ft of torque V8 gasoline engine is likely for the Supercharged variant here in the U.S. There could also be a V6 diesel-electric hybrid, which should have a claimed combined 333 bhp, a 0-62mph time of 7.4sec and CO2 emissions of just 169g/km. Land Rover will feature a first-ever live broadcast at the live drive event to global audiences via a dedicated microsite www.newrangeroversport.com. Those registering on the site will receive a personal invitation to watch the live reveal on 26 March as well as exclusive extra content and information. Look for the newly-designed 2014 Range Rover Sport to go on sale here in the U.S. and around the globe at the end of the year.